Hello scrappy friends! I am sure you are all as busy as I am as of late preparing for the holidays. There seem to always be a million little details that need tended to but in the end it's those details that make the holidays so very special. I also like to think that it's the little details that make the Artsy Adventure Class Kits so very special too! I hope you agree! 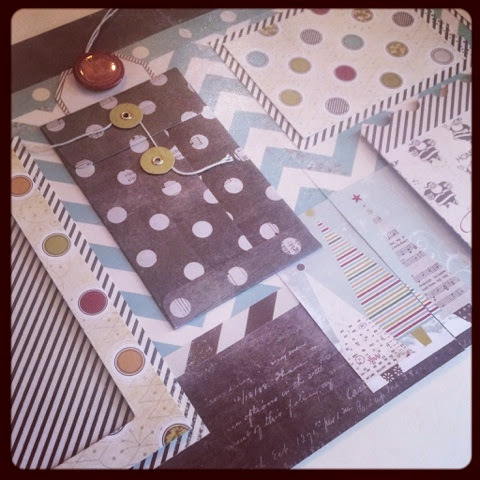 This months kit features the Prima Epiphany collection in an adorable BUILD A BOOK mini album. I am so excited about this project as I actually code signed the Build A Book collection for Prima a few years ago yet they are so versatile and provide the perfect foundation for this sort of project. The kit provides you with FOUR beautiful packages of Prima flowers! You will also receive the Build A Book, a paper pad, Dusty attic chipboard letters, ribbon and tulle. As always, there are so many intricate details in this project that truly make it a special piece. The layers of papers and embellishments create the prefect home for some of the pictures shacking your cherished memories! Now... If layouts are more your style then perhaps this will appeal to you! In case you are unaware I started a SECoND kit club each month known as Triple Threat. Why do I call it that? Well, each kit will provide enough product to create at least THREE layouts! One of the layouts will always be a double page layout. Yup! Those are hard to come by nowadays but I listened to your requests and am taking up the challenge. I hope you enjoy them as much as I do. This is such a adorable collection. riot was definitely a lot of fun to work with! As always, I included a few interactive components. That's such a fun thing that I love to add to my projects whenever possible. For the December Triple Threat Class Kit I put together what is surely one of the largest kits that I have ever done! 18 full sheets of paper, 6 sticker sheets and a PLETHoRA of assorted embellishments make up this ginormous kit. There a ton of spaces for the numerous photos you are sure to take this holiday season. There are opportunities to customize each layout in this kit too as I have provided ample letters to create virtually any title you wish broadening the horizons for these layouts. Now, seeing as it is the holidays and everyone deserves something special I would like to extend a holiday gift of my own of sorts. For anyone who is interested in any of these kits mentioned here I would like to extend a discount of 10% if you purchase 2. Should you wish to purchase all three I am happy to extend a 15% discount. Subscribe to either kit club for 6 months AND purchase a Second kit from the others shown and I will give you a 20% discount PLUS a free kit! These above mentioned offer is valid as long as supplies last or until Saturday, December 15, 2014. One last thing.... I think it's contest time! Share this post on Facebook. Come back and comment here leaving a link and have your name entered into a draw for a prize package valued at $50. Wouldn't you like a special gift just for you this holiday season? Do this before December 20 for your chance to win. I hope you have all been keeping busy making memories but not so busy that you haven't been able to scrap those memories you have made. Let's face it though... somedays there just don't seem to be enough hours in the day after dealing with kids, work, house stuff and life in general. Perhaps I can help? As you all know my Artsy Adventure Class Kit Club has been in full swing for what will be TWO years in December! Never in my wildest dreams would I have ever thought that I would be able to share my projects that I have created with scrappers AROUND THE WORLD. For that I will always be extremely thankful and feel so blessed to have the opportunities I do. I LOVE creating projects of all sorts. This kit club has given me the opportunity to explore techniques and work with my favourite brands and discover new ones along the way too. Being able to share them with you has been an honour and one I look forward to continuing to do. Each month you will receive a kit containing enough fabulous products to create three 12X12 layouts. One of the layouts will be a DOUBLE page layout (an absolute rarity nowadays!!!!). Themes and manufacturers will differ with each kit and you will alway learn some fun new tips and tricks for documenting your cherished memories in your scrapbooks. These are some sneak peek examples from the first OFFICIAL Triple Threat Class Kit featuring the adorable Oh, Deer! Collection by Fancy Pants Designs. I loved so many things about this fun spirited collection that I have a hard time choosing my favourite of the 3 layouts included. The Double Page layout is a new challenge for me. Truthfully, up until recently, I have not done as many double pagers as I have been as professional designer for so many years that we just don't "do" them... certainly not as often as most of my students would like. They are a little more difficult to do in many ways but the scrapbooker in us LOVES how they look more uniform in our albums. I am so pleased with how the first one turned out for my Class kit Club members and I hope you will be too! As usual, there will always be lots of layers, interactive components and tactile elements. This double pager even has a secret hiding spot for even more of the story to be stored away safely. 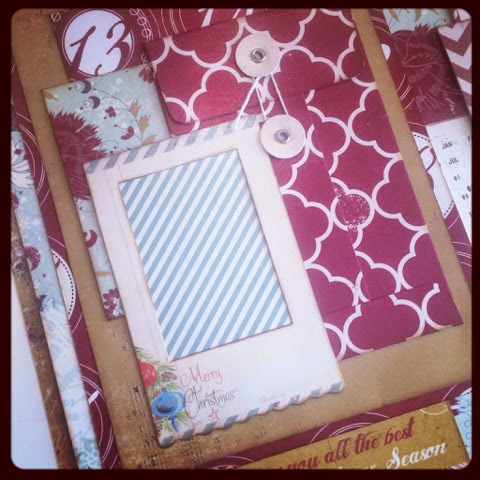 The last layout in this months kit is true to "Trisha" style with flips, flaps, pockets and tags. Incorporating these sorts of elements allows for you to maximize the real estate on a single page. The little details throughout make this a PERFECT project for many of your holiday memories from wither years gone by or in preparation for the upcoming ones that are just around the corner now! Have I gotten your attention yet? I hope so! Are you wondering how you can get on board? There are a VERY LIMITED number of spaces this first time out so we can get a feel for how many we will need each month! You need to email trisha.lado@gmail.com ASAP to get your name on the list! PLUS get a free bonus layout! That's right... you will get a FOURTH layout in this months new kit. If you are an EXISTING Artsy Adventure Class kit Club Member you will save an additional 5% (your existing subscription must not expire before December 31, 2014). All 6 month subscriptions will get a layout kit featuring Authentique beautiful papers and embellishments (while quantities last). Lastly, I have several Prima Triple Threat Class kits left... those will be offered for $40 (1/3 off!!!!) to anyone who subscribes for 3 or 6 months (while quantities last). So there you have it! I hope you will join me on another Artsy Adventure where the focus will be just layouts! I should also mention, the main Artsy Adventure Class kit club with the assortment of projects is still up an running! Subscribe to BOTH and get 25% off!!!! Email trisha.lado@gmail.com and be sure to LIKE the Facebook page if you haven't already done so as that is where you will always find the most up to date info! That's right! I don't know a single person who doesn't LOVE to get a good deal...especially on their scrappy supply stuff! That's why you will want to mark your calendars for this Friday and Saturday (September 26&27) for my 6th Annual Scrapbooking Garage Sale! Details can be found HERE on my Facebook page. Spread the word, grab a firmed and come on by! Can't make it? I am more than happy to ship a mystery box. Just let me know some of the things you like and your budget and your doorstep will be brightened with a box of goodies in the coming days! Now, along with those great deals at my garage sale I am also doing a MASSIVE Class Kit Blowout! I have also tried something NEW due to numerous requests so let's see how this goes! I have started to create a couple TRIPLE THREAT classes or perhaps I should call them Triple TREAT (what do YOU think?). Basically, these classes are LAYOUT classes. 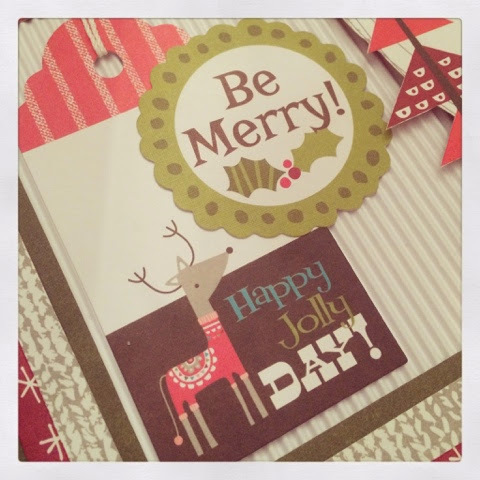 In each kit you will get the product and instructions to create THREE layouts and one of them is a double pager! Now, the products may be the same as some of the other monthly kits that have been released but there has been a huge request for layouts so this is a way to make everyone happy! I can't say I will do it every month but if the response is good enough I will definitely consider doing it more often! If I can get enough people to commit to a layout kit club SUBSCRIPTION then I will start up a group just for those interested. Let me know your thoughts! Below are a couple of sneak peeks at the first two kits. This first kit features a plethora of Prima products. 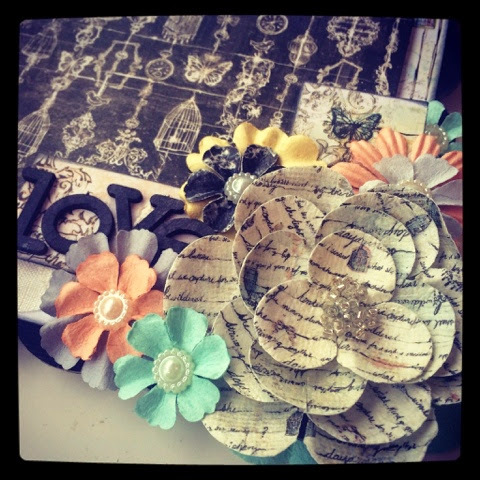 Paper, chipboard, flowers clips, flair, wood, etc make this a kit that is drool worthy for sure! Each layout features stunning intricacy and beautiful details. The soft colour palette leave this project perfect for so many different life moments that you want to preserve in your memory albums. If you are uninterested in the above kit please let me know you want the Prima Triple Threat Class. My next Triple Threat Class features a collection that definitely packs a bit more punch! 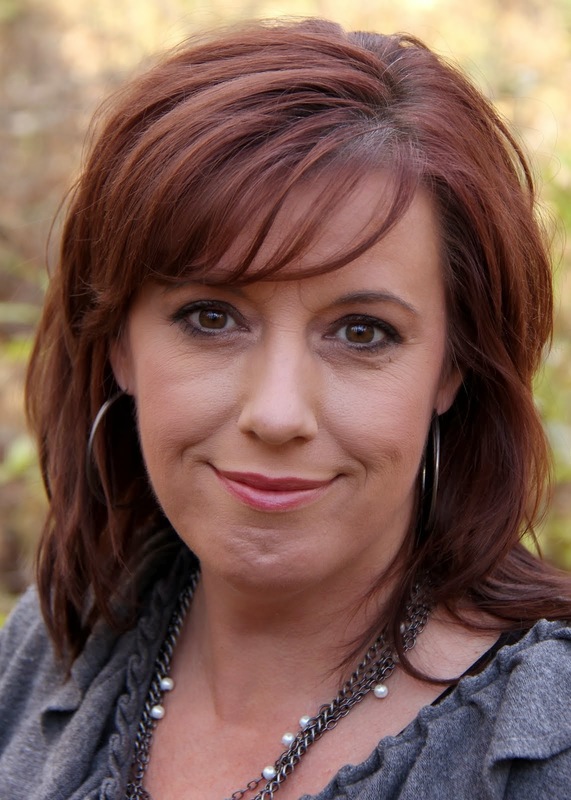 Heidi Swapp's Favorite Things Collection is so fun and vibrant and is perfect for so many different themes! Plenty of fun accents on each of the three layouts in this kit draw the attention of all who look and they are sure to be intrigued about your story that accommodates the photos you choose to use! Fun new ways to create visually appealing layouts what will showcase numerous new ways to maximize your pages real estate allowing you more now than ever ways to store your photos and journaling. What do you have to lose? These kits are a fun and easy way to get through some of your photos sitting on your desk needing to make it into the album! Each kit comes complete with all products needed to make each of the three layouts. You will also receive a fully coloured PDF with detailed written instructions and plenty of photographs to guide you through the project! These kits are available for a limited time of $60 each +Shipping. Order both kits from today until September 29, 2014 and you will receive a 15% discount just quote Garage Sale Special. Interested in doing this on a regular basis and committing to a subscription... let me know ASAP! Happy Scrapping and I hope to see you at the garage sale this weekend! PHEW! I hadn't realized that I didn't do an update all summer! WOW! Well... I must have been pretty busy (actually I KNOW I was) and it was absolutely fabulous too! Our Skipper trailer is an oldie (1972) so she was definitely dated and needed a major facelift. We still haven't done anything on the outside (that's a project for next year). We started with the obvious and ripped out all cushions... the idea of sleeping on someone elses 40+ year old foam mattresses was obviously out of the question so I had to learn in a hurry how to sew. After watching a couple You Tube videos I thought I could tackle it. Well, I may have been just a wee bit ambitious but I gave it a good solid try! I even went so far as to sew my own piping.... yeah. That was actually the easy part! At the end of the day I didn't do too bad for my first go at sewing upholstery. I will admit though that I brought all the cushions in for me to give it another go over the winter months when I have nothing to do. I am a perfectionist and there are a few things that I can fix now that I have a better idea of what I am doing. I also sewed all new curtains for our camper. They were the easy part and truth be told... I actually did it the morning we were leaving on our first trip!!!! A couple could use a bit of tweaking but no one would notice if I didn't say something! When it was all put together it looked pretty cute! Another cool feature which totally added some class to the trailer was my backsplash in the kitchen. They are actually peel and stick tile sheets and admittedly were a pain in the tush to get to stick and STAY (they kept falling off... perhaps I shoul have been more patient and let the fresh paint cure for more than a day or two). In the end though I got it to stick and I really hope no one ever wants to remove them as they are there to STAY! I have also since this pic was taken put on a chrome like trim around the counters. Little details made our camper as cozy as could be... like simple little toss cushions. They drove hubby nuts but the bed sure looks a lot cuter! Now the nest part hands down was the decorating for me. I LOOOOOOOVED finding coordinating bits and pieces to make our camper that much more fun. Everything was based off of the teach/turquoise colour scheme with a few black/white swirls to break things up. In the end I am pretty sure that we succeeded in having one of the funkiest campsites at each location and took plain old fashioned camping up a notch! Quite frankly, putting the initial effort into all of those special little details made our GLAMPING (aka camping) experiences so much more memorable. I cherish my early morning coffees when the world is quiet before anyone else woke... wouldn't you? The best part of the entire summer though? Spending so much time with my husband and two kids. They are 14&15 now and I know I have very few opportunities to have them all to myself anymore so I am squeezing in as much time as possible with them! We also shared many of our trips with my best friend since big school and her family.... sure makes it even more fun when there are a bunch of other crazy folks to share in the fun, eh? Anyways, life is back to normal. I am back in the studio creating away. Stay tuned for all the details of kits that are up for grabs! DOn't want to wait for the blog post? Be sure to check the Facebook page HERE for all the details! It's that time again where I happily get to share the Artsy Adventure Class Kit Club project and this one makes me giddy with excitement. As you may or may not know I have had a long time love affair with Prima and with so many exceptional products in their most recent release I had to work it into a class kit once again! This months class kit features 9 full sheets of 12X12 paper, chipboard stickers, 2 packs of flowers, tags, clips, trim, flair, trim, etc. It is jam packed and I am sure I will be able to hear the squeals of delight from here! This month you will be creating a 6X12 album showcasing some fun techniques for housing some of your most cherished memories. It is neutral enough that you can customize it to suit near any occasion. Working with a combination of various Prima products that perfectly coordinate allow you to create a wonderful project with ease! As always, this project is also complete with numerous techniques that you can apply to future paper crafting projects. This is a GREAT time to get on board with the Artsy Adventure Class Kit Club if you haven't already done so! There are three ways for you to join so there is sure something that appeals to you! 3) 6 month subscription: 6 months X $60- 15% discount= $306+ shipping PLUS for a limited time (this promotion will be ending soon)... you will receive a FREE Bonus kit. This has been by far the most popular of options thus far by ladies around the world! All kits come complete with a powerpoint with detailed written instructions with plenty of photographs that are mailed to kit club participants each month. If you are interested in this kit... be sure to let me know ASAP! Drop me an email at trisha.lado@gmail.com and let me know your shipping address so I can determine shipping rates and I will then send an invoice via paypal OR you can do a bank transfer if you are in Canada! I know I say it near every time but seriously, I think this has to be one of my favourite projects as of late! Tim Holtz never ceases to amaze us paper crafters with his collections of vintage inspired products and this latest release is no different. After anxiously awaiting the newest arrivals to land on my doorstep I cleared my desk and calendar for a few days so I could set to work in my studio to complete one of my newest class samples designed for my Artsy Adventure Tour in Australia next month. I chose some of my favourite pieces and set to work constructing this interactive Folio Album. So many little details throughout to really take your paper crafting to the next level. With every turn of the page or flip of the flap there are little bits to make you stop and look closer. Sure to become one of your favourites as it captivates you and any who looks though it. This is definitely one album that will be proudly displayed for all to see and enjoy! 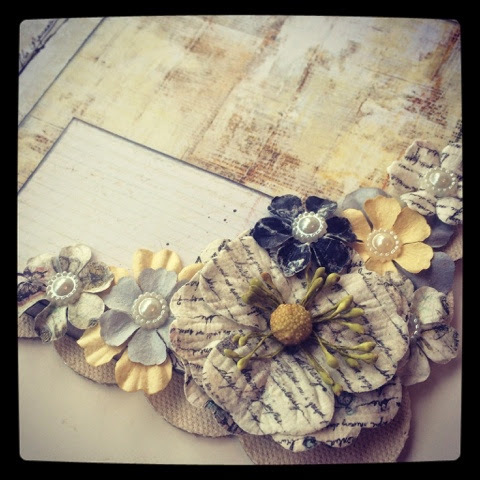 Classes are confirmed for Scrap N Patch in Toowoomba, QLD May 16-18, 2014 and Scrapbook Secrets in Maddington, WA Australia May 23-25, 2014. Spaces are filling so contact them today to be sure you do not miss out! If you are not in Australia to take the class but are wanting a kit, drop me an email at trisha.lado@gmail.com and that can be arranged! All kits come complete with the products needed to finish the project and detailed written instructions with plenty of photos to get you through the project with ease will be emailed via powerpoint pdf. Have a great weekend my crafty peeps! I have been super busy in the studio again... you may have seen a few of the sneak peeks posted this past week on Facebook and Instagram but in case yo missed it.... here are the sneak peeks for the APRIL kit for the Artsy Adventure Class Kit Club! 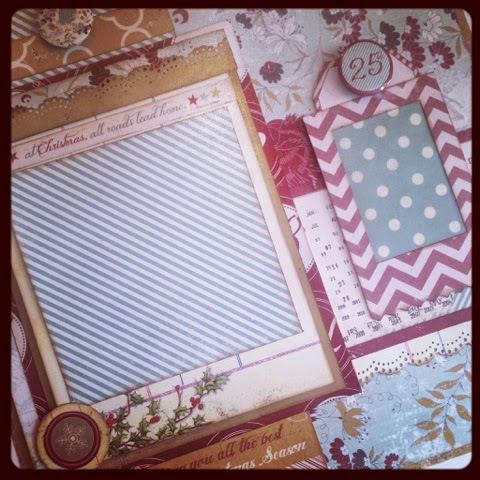 This month we are working with the Stationer's Desk Collection from Prima as we create TWO stunning 12X12 layouts. 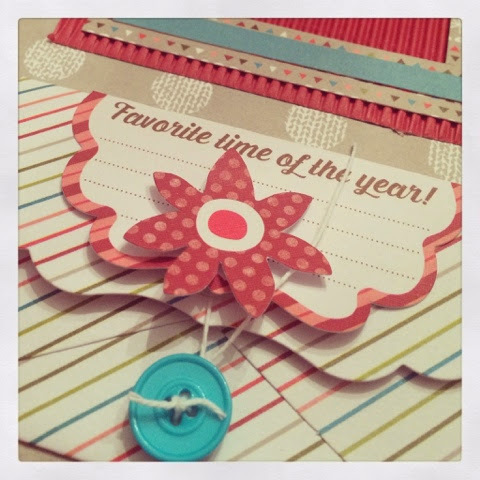 The kit is bursting with the coordinating papers, flowers, chipboard, flair bits, stamp, tags, paperclips and wooden pieces along with a few other bits and pieces. Everything works so well together and in true Trisha form there are plenty of "Lumps and Bumps" and "Layers a-plenty!!!!". 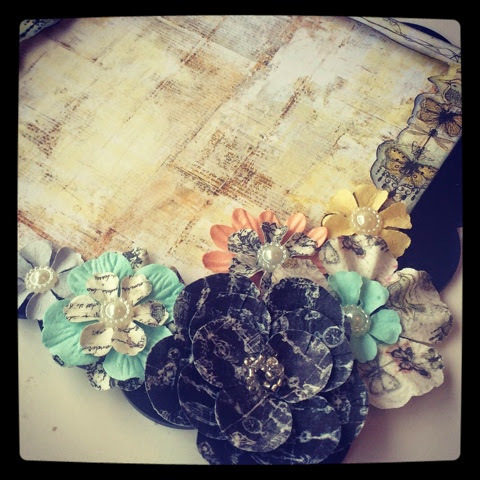 Each layout incorporates some beautiful embellishing that enhance not only the focal photos but also the slide outs that are perfect for adding extra photos or hidden journaling. These dimensional layouts are perfect for mounting on a canvas or framing as they are far too pretty to hide away in an album (unless of course you want to). There are a limited number of extra kits available if you are not already a subscriber so drop me an email at trisha.lado@gmail.com. 3. 6 month subscription: $60/ month X 6 months- 15%= $306+ Shipping PLUS get a FREE BONUS kit (this is definitely the most popular option!). To all current subscribers... a special offer for you :D Have a friend sign up for a 3 or 6 month subscription and mention YOUR name as the one who referred them and your name will go into a draw for a prize package valued at $100 on May 31, 2014. This is a GREAT opportunity to bring a friend on board so you have someone with whom you can work on your monthly projects with! With each new Subscription you refer April 3- May 31, 2014 you can also earn $5 (3 month) and $10 (6 month) credits towards other class kits that are not a part of the Monthly Kit Club. These are redeemable for up to 50% off a class kit you see advertised online! 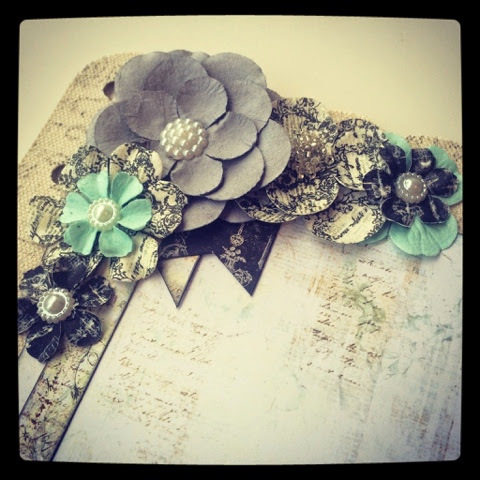 Anyways, stay tuned as I will be doing the Tim Holtz DAYS OF YESTERYEAR Post next. The photos have been posted on Facebook and Instagram but it's worthy of it's own post! Copyright Artsy Adventure 2012. Powered by Blogger.